If you like me are living with ankylosing spondylitis, you know the back pain and fatigue that are hallmarks of the condition can be unpredictable. But fortunately, there are many approaches — besides simply relying on medications — that you can take to ease spondylitis pain and stiffness and move more freely. Most of these ideas are free or inexpensive, and even enjoyable to boot. You’ll find that the emotional boost you get from taking these steps can be as great as the physical improvement. If you’re like most people with ankylosing spondylitis, your lower back pain and stiffness is worse in the morning. “When joints are stationary for a time, the joint fluid actually thickens a bit, like ketchup,” says Sturdy McKee, MPT, physical therapist and CEO of San Francisco Sport and Spine Physical Therapy. “You can shake or stir your joints through repeated movements — any repeated movements.” Talk to your doctor or physical therapist to create a morning routine of gentle motions that can lessen spondylitis pain and get your joints moving. When the fluids in your joints get thick and stiff, spondylitis pain gets worse. A great way to get those fluids moving is to warm them up with a warm bath or shower, which loosens up your muscles and makes it easier to exercise. 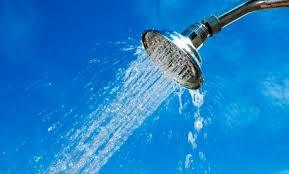 In fact, you might find that doing some exercise in the shower can help get you going in the morning. You may also find that doing your posture training for ankylosing spondylitis after a warm bath or shower, when your body is warmed up, is easier for you. Poor posture ramps up spondylitis pain and stiffness. 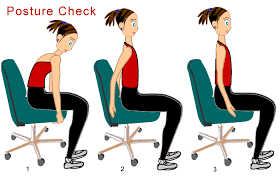 Minimize lower back pain with what medical experts call “posture training:” Think tall by keeping your head balanced and your back straight at all times, and practice standing with your back against a wall and prone lying, which is lying face down on a firm surface. A physical therapist can show you the ropes. “Posture training should be done for about 30 minutes every day, but you can break this time up into 10- or 15-minute sessions,” says Angelo Papachristos, a physiotherapist at St. Michael’s Hospital in Toronto, Ontario, Canada. This entry was posted in Exercise, Knowledge, Love yourself, Self Management and tagged Ankylosing spondylitis, chronic diseases, exercise, rheumatic diseases, self management. Bookmark the permalink.